Highly-rated Monaco midfielder Fabinho has admitted that he has come to the end of the line at the Ligue 1 club and is ready for a fresh start. Fabinho, 24, has become a cornerstone of the Monaco team, racking up over 200 appearances in five years since moving from Real Madrid. His performances have not gone unnoticed, with clubs such as Manchester United and Atletico Madrid both linked to the Brazilian in recent weeks. Read the full story on Goal right here! Bayern Munich are ready to sell Arturo Vidal this summer and Manchester United are ready to swoop, reports Bild (via the Manchester Evening News ). Chelsea are also said to be interested, with Antonio Conte having coached the midfielder at Juventus. Manchester United will look to sign Manuel Neuer from Bayern Munich should David de Gea leave the club, according to Don Balon. Jose Mourinho is aware that Chelsea would likely never sell Thibaut Courtois to a rival and that Jan Oblak may be too expensive, so the Germany international is seen as a more plausible option. United could offer the 32-year-old Neuer one last big payday while the goalkeeper is still in his prime. Manchester United and crosstown rivals City are facing a dual over the signature of Shakhtar Donetsk midfielder Fred, according to the Daily Star. The two Manchester clubs both covet the 24-year-old Brazilian, whose fee has reportedly reached £50 million. If Fred doesn't move before the end of January, United and City will resume their battle in the summer. Italian wonderkid Pietro Pellegri has explained that Monaco's famous talent for youth development persuaded him to choose the club over a host of top European sides. Monaco completed the signing of 16-year-old Pellegri from Genoa for a reported fee of €25 million on Saturday. The forward, who was linked with Serie A champions Juventus as well as Arsenal, Chelsea and Manchester United, has agreed a long-term deal at Stade Louis II. Manchester United manager Jose Mourinho is concerned by Andreas Pereira’s recent lack of playing time at Valencia, according to the Manchester Evening News . Pereira is on a season-long loan at Valencia, but has made just one brief substitute appearance in the club’s last three matches. Mourinho isn’t planning to recall the midfielder, but is worried about the situation and also the position Pereira has been playing in at the Mestalla. Real Madrid forward Cristiano Ronaldo is weighing up a move to Chelsea this summer, according to The Sun . Ronaldo is keen to leave Santiago Bernabeu after this season, with the Premier League his prefered destination. Alexis Sanchez's move to Manchester United, however, has ruled out a return to Old Trafford. Chelsea, though, are keen to take advantage and bring th Portugal captain to Stamford Bridge. 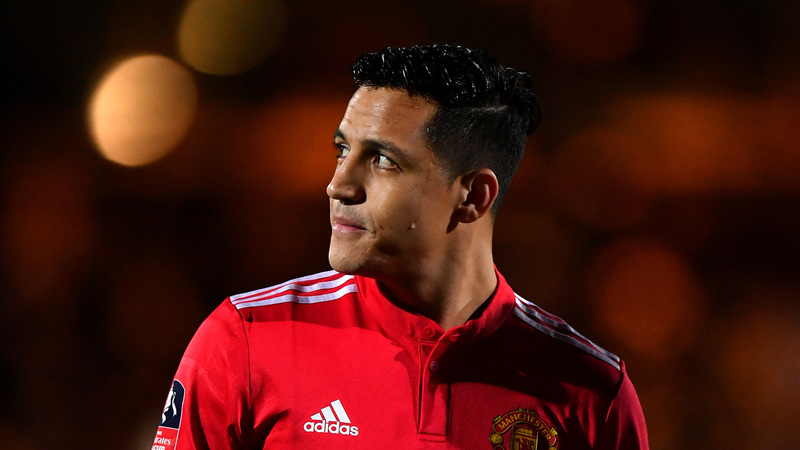 Jose Mourinho has insisted that Alexis Sanchez was a "cheap" signing for Manchester United, despite his astronomical wages. "He was cheap, wasn't he?" said Mourinho. "A free transfer! He was free. For that price, he is fantastic. I think everyone thinks the same in this country." You can read his full comments here. Manchester United are one of the teams on alert, with Borussia Dortmund prepared to let Marc Bartra leave in search of more playing time, according to Marca . Manchester City, Juventus and Real Betis are also reportedly chasing the defender, who has found playing time hard to come by under Peter Stoger. Manchester City can't afford to buy 22 top players according to Pep Guardiola, who claims the club are limited in their spending. The City boss' comments come after both Jose Mourinho and Antonio Conte said their clubs couldn't compete with the money spent by Guardiola. Check out his response right here. Real Madrid are planning an astonishing £500 million summer raid on the Premier League, according to the Daily Mail , including £100m on Manchester United No.1 David de Gea. The Spanish club have their eyes on two main attacking targets, each of whom would draw a world-record £200m fee: Chelsea’s Eden Hazard and Tottenham's Harry Kane. Four summer signings for Man Utd? Manchester United could be in the market for up to four players in the summer transfer window, claims Paul Ince. The former Red Devils midfielder believes additions will be essential, with it possible that reinforcements will be required at left-back, right-back, in goal and up front.